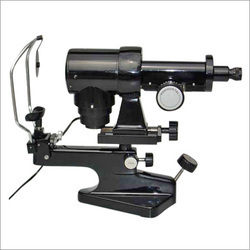 Keratometer is diagnostic instrument commonly used by ophthalmologists for eye examination, measuring the curvature of the anterior surface of the cornea. Moreover, it provides an accurate measurement of Corneal Radius Curvature and Curvature of Contact lens. 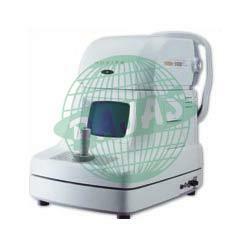 Lensmeter Corona Cross Target combines an excellent Ocular Type External Reading System with very clear target screen. It is same as Lensmeter Corona Target but with a slight difference with Pinshole Cross + Corona Target. 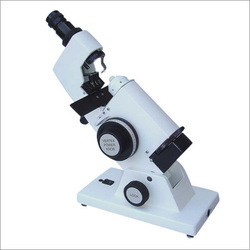 Also the instrument can be moved from 30° to 90° with High Power Magnification for getting sharp and bright corona focus. 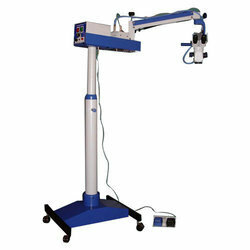 Rajas Operating Microscope - Surgical Operating Microscope Cold Light provides high intensity with flexibility in operating. 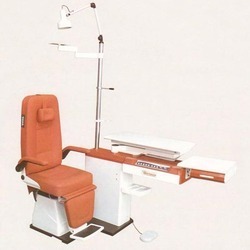 It is focused with built in manual 3 step changer for continuous adjustment. 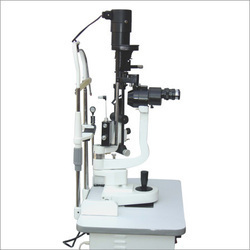 It is based on Optical Light Guide System and checks the interior part of the eye. Instruments according to Prof.Schiotz for measuring eye pressure. Needs almost no servicing, ensures smooth operations for years. Highly accurate Weights to give correct measures. Jewel operated, complete with three weights. International standard built. We offer a wide range of superior quality abbe refractometer. 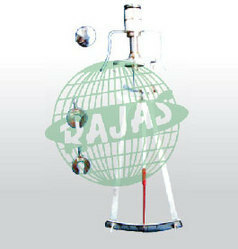 The offered instrument is widely used in laboratories to measure the index of refraction. Imported from leading vendors across the globe, these work in relation with snell's law and the calculation is done by analyzing the composition of the material by gladstone-dale equation.